Hi, I’m Jessica, founder of Dragonfly, and I’d like to take this opportunity to tell you a little bit about myself and how my vision for Dragonfly evolved. Born and raised in LA, I have always had a love for this city and the range of fitness options available to me. 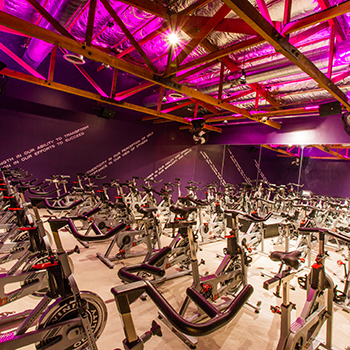 After a foot injury prevented me from long-distance running, I tried indoor cycling. My initial excitement towards cycling quickly turned into an obsession. Bad day at work? Argument with my spouse? Frustration over LA traffic? Whatever it was, cycling became my salvation…my go-to, in both good times and bad. The impact cycling had on me was so profound that I abandoned my successful 13 year career in software to open my own studio. I believe that when you combine great people, great music, and a great instructor instilling words of positivity and inspiration, incredible change can occur within a person. And when that change is scaled, the world at large can and will become a better place. It is my passion towards cycling and my innate desire to help others that led me to this point. This studio is my dream come true, and I am fully committed to making Dragonfly a success and positively impacting all those I have the honor to work with. I also teach a few times per/week so come try it out! My class is intense but fun, varied yet easy to follow, and never boring! Expect any combination of rock, dance, pop and some hip hop, new music and throwbacks, electronic and acoustic! A dragonfly is characterized by large, multifaceted eyes, two pairs of strong transparent wings, and an elongated body. It is among the fastest flying insects in the world, and can fly backwards, change direction in mid-air and hover for up to a minute. A dragonfly is also a spirit animal that represents change, transformation, lightness, and emotional flexibility. The dragonfly portrays strength in its ability to transform, and passion in its efforts to succeed. It displays power in its agility and speed, and poise in its simplicity and grace. The dragonfly is authentic in its perception of self, and accepting in its view of others. We are your dragonfly, and we are here to help you become the best version of you. 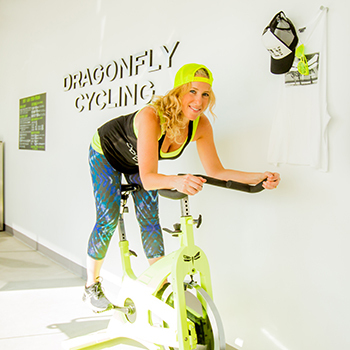 At Dragonfly, transformation doesn’t end with our members and doesn’t end inside the walls of our studio. 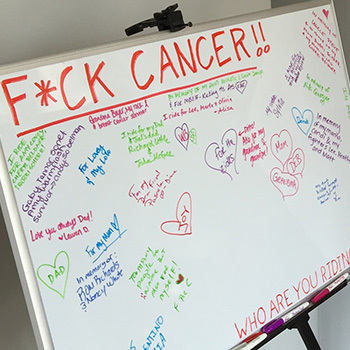 Dragonfly hosts quarterly charity rides to raise money and awareness towards everything from natural disasters, to disease research and prevention, homelessness, animal cruelty, bullying, foster programs, and teen suicide.